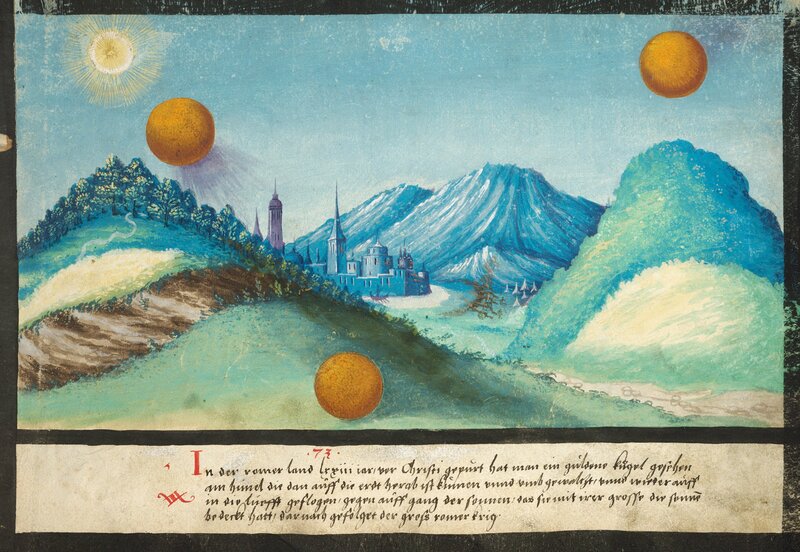 The Book of Miracles that first surfaced a few years ago and recently made its way into an American private collection is one of the most spectacular new discoveries in the field of Renaissance art. 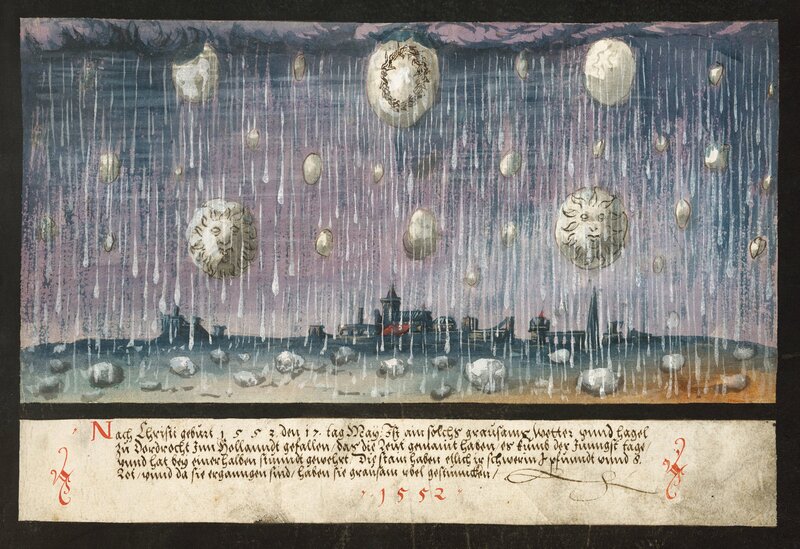 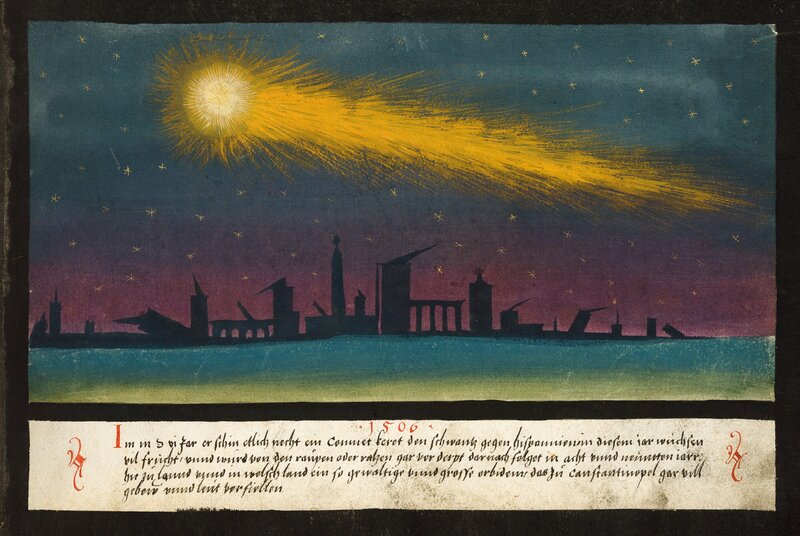 The nearly complete surviving illustrated manuscript, which was created in the Swabian Imperial Free City of Augsburg around 1550, is composed of 169 pages with large-format illustrations in gouache and watercolor depicting wondrous and often eerie celestial phenomena, constellations, conflagrations, and floods as well as other catastrophes and occurrences. 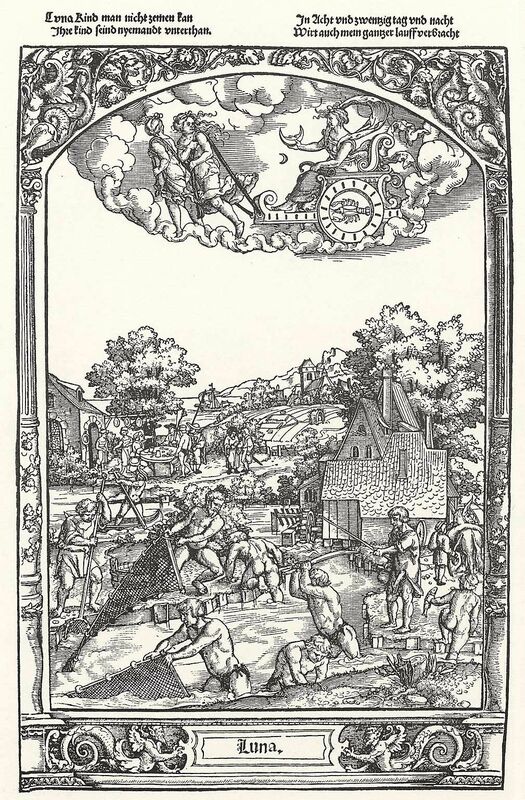 It deals with events ranging from the creation of the world and incidents drawn from the Old Testament, ancient tradition, and medieval chronicles to those that took place in the immediate present of the book’s author and, with the illustrations of the visionary Book of Revelation, even includes the future end of the world. 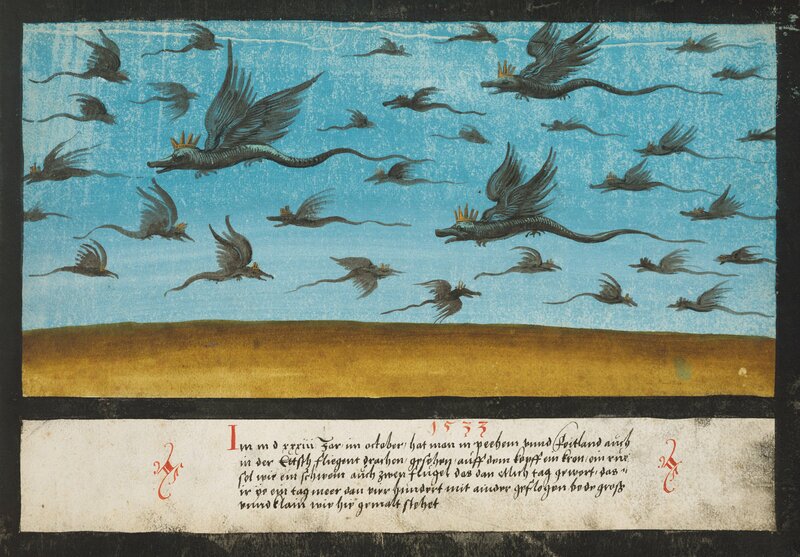 The surprisingly modern-looking, sometimes hallucinatory illustrations and the cursory descriptions of the Book of Miracles strikingly convey a unique view of the concerns and anxieties of the 16th century, of apocalyptic thinking and eschatological expectation. 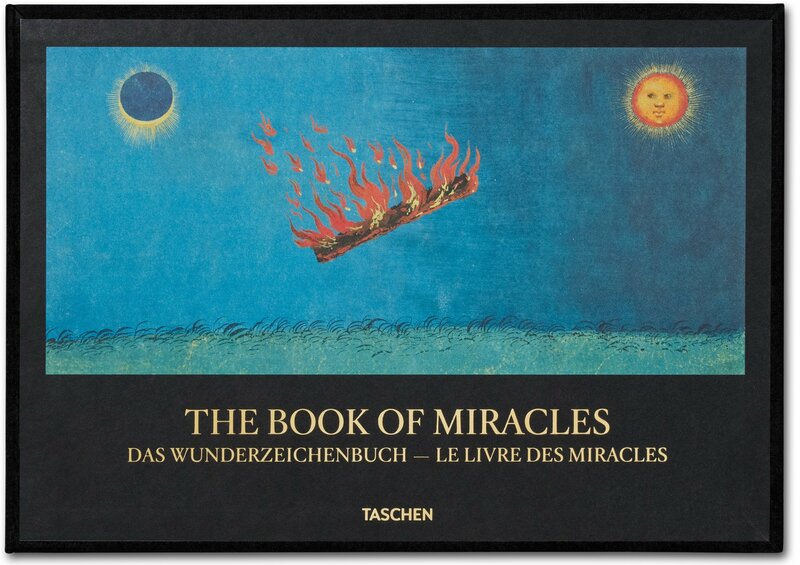 The present facsimile volume reproduces the Book of Miracles in its entirety for the first time and thus makes one of the most important works of the German Renaissance finally available to art lovers and scholars. 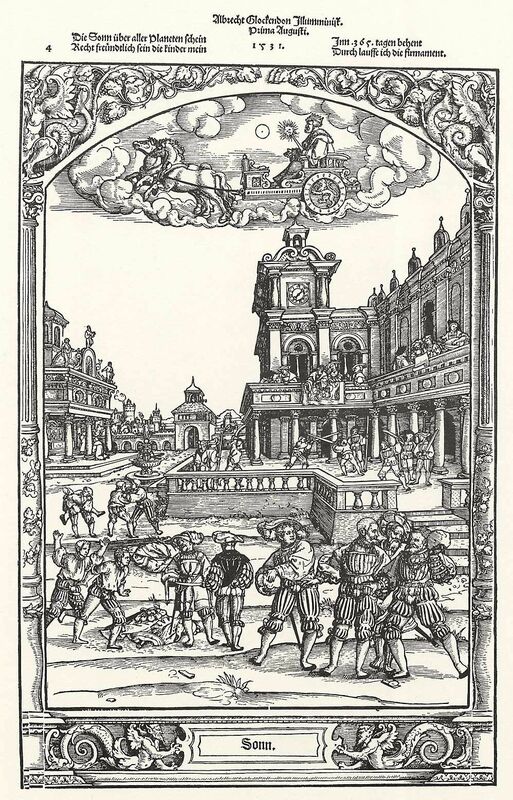 The introduction puts the codex in its cultural and historical context, and an extensive description of the manuscript and its miniatures, as well as a complete transcript of the text, accompany the facsimile in an appendix.